It is so hot in Arizona, I swear the summers scare the ice cubes away when I head outside with a glass of anything with ice in it. Maybe the cubes just aren't big enough to sustain in the heat. 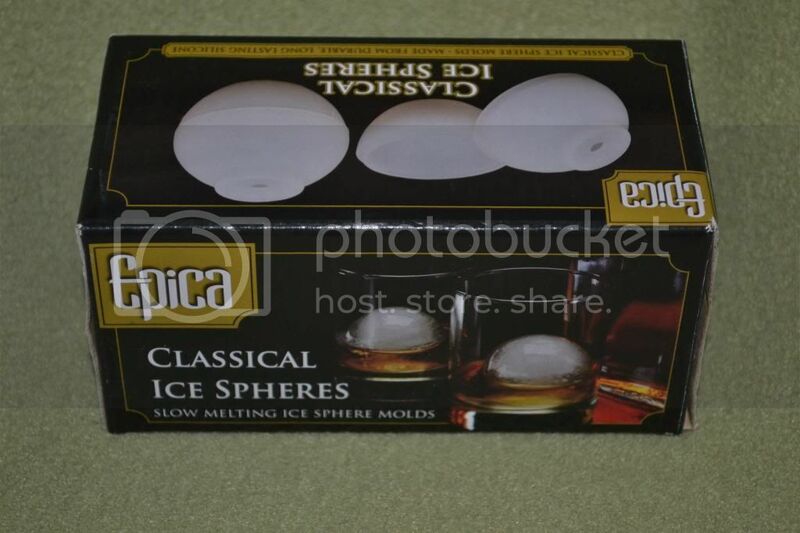 Mommy Moments with Abby's review of Epica Classical Ice Spheres: It is the fall and still we have 90 degree and up days here in Arizona. So, my ice tea looses it's ice quickly, making my ice tea into water with a hint of tea. Add to that it is no longer a cool drink, but a warm to hot beverage. Yuck! So, I made a few Ice Spheres and used those instead. They are large enough to last, probably do to the larger amount of cold molecules packed together. I could easily see how this would be perfect for a wedding, dinner party, or just a hot day outside. Easy to use, clean, and store. I am really excited to test some out in my water bottle when I go to the gym. This way no matter how hot it gets in the workout room, sauna, or jogging around the track, my drink stays cool. Check these out for your glass! Great for a party, jumbo ice balls are as fun as they are functional. Just one in a large glass will keep a drink cold and flavorful for hours! With less of their surface area submerged in the liquid, ice balls take more time to melt than cubes. Result: they go on chilling long after cubes would be gone. It also means that there's not so much melt water to dilute the taste of your beverage. They're ideal for whiskey, sangria, iced tea or any cold drink where flavor balance is essential. To fill the mold, pour water in through the top holes. The silicone is sturdy yet flexible, so when the ice balls are ready to remove, you just pop them right out. Use this mold with the peace of mind that comes from knowing there's none of the health risk associated with plastics that leach BPA into foods they contain. Plus, it's easy to clean and can even go in the dishwasher.